ON HAND – ON SITE – ON TIME! It’s what we do. We are ON HAND, by holding over 2 million metres of cable in stock across over 80 cable series. We are ON HAND, to provide technical support, answer your calls and have representation out in the field. We are ON SITE, by ensuring our products are widely available through your local wholesalers. We are ON TIME, by ensuring we have processes in place to get our products delivered fast. Trading began in 1974 in a small old warehouse in South Auckland as an electrical import/wholesale business with 2 staff. The business enjoyed steady growth through the 70’s and 80’s with new product lines being added to the offer. 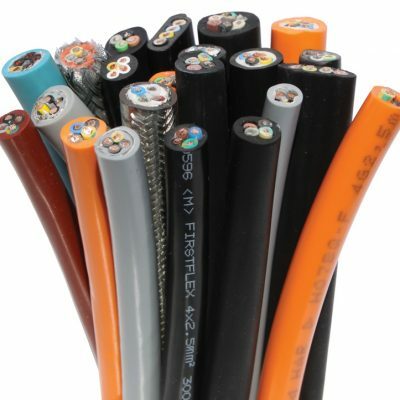 In 1991 the business began supplying a high quality range of industrial flexible cables and has grown to be one of the most trusted suppliers to the electrical industry. In 2015 the business of Electrex Manufacturing was acquired and this strengthened the offer of industrial electrical connectors and components. We are proud to be a New Zealand family owned and operated business with the second generation of family continuing to grow on the trusted reputation of Firstflex all with the help of our great team of staff. Heavy duty rubber sheath flexible cables for extreme conditions. Largest range of industrial and flexible cables in NZ. All stock cables by the metre. No minimum order – fast delivery. We care for our customers and are here to help them succeed. At Firstflex we communicate openly to gain trust, respect and support. We have been in business for over 40 years and all decisions are made with the view of being here for another 40 years. This long term vision defines our approach to customers and suppliers, recruitment and training of our team and the way we plan and grow in the future.